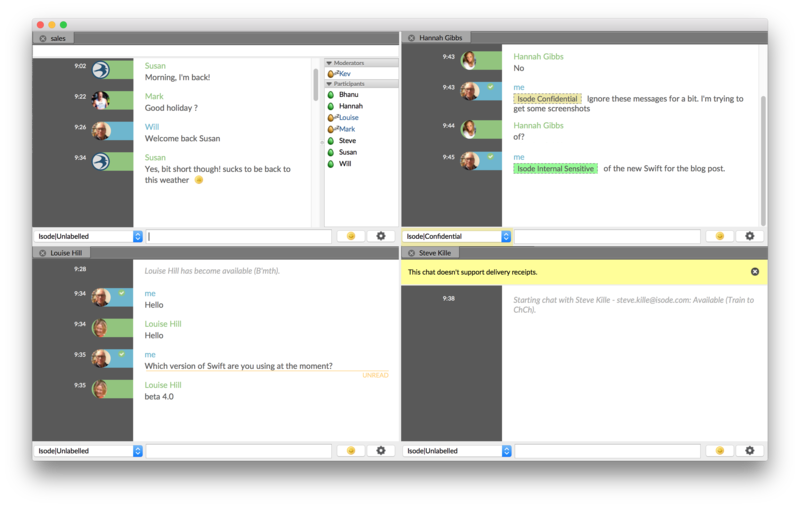 A great little chat client, Swift, has a new beta of its upcoming 4.0 release available and I’d encourage all ChinWag users to check it out if you’re looking for a reliable and uncomplicated desktop chat client. Version 4 adds support for message carbons, making it easy to switch between multiple desktop or mobile chats and just picking up where you left off. Swift does not, unfortunately, have support for OTR or OMEMO encryption at this time, which I’d really love to see in the future. You can download Swift here for Windows, Mac OS and Linux.